Telematic Solutions, an Italian company which is part of the VINCI Energies Group, specialises in the completion of projects in the space industry, in particular the land infrastructure necessary for the assembly, preparation and launch of outer-space carriers. 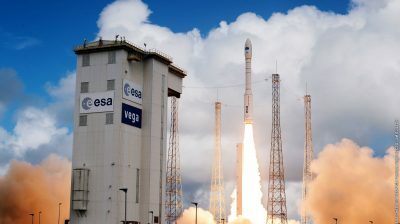 The company has its head office in Milan and owns a subsidiary, Telematic Solutions Guyane, in French Guiana at the Centre Spatial Guyanais (CSG), where the launch pads for three European launchers are located: Ariane 5, Vega and Soyuz. Founded mainly upon knowledge relating to low current and fluidic systems, in recent years Telematic Solutions has expanded its area of expertise to various fields, such as mechanics, energy and telemetry. With more than 40 employees, the company has an excellent engineering centre in Milan, which can boast of having built two launch pads, Soyuz (2010) and VEGA (2012). Recently, Telematic Solutions signed a contract with CNES for the realisation of the fluidic and low currency ground segment for the ELA4, the new launch pad for Ariane 6, the new category of carrier from the European Space Agency whose first launch is expected in 2020.